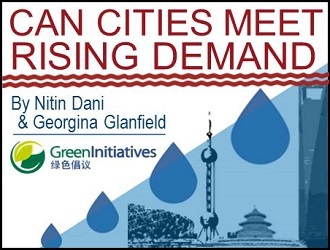 Georgina Glanfield is currently a volunteer at Green Initiatives (Green Drinks China(, working as part of a team to improve awareness of environmental and sustainability issues in Shanghai. Georgina recently relocated from Australia to pursue her interests in sustainable development and achieve fluency in Chinese. Prior to moving to China, Georgina was a policy adviser in the Australian Government providing briefing to ministers on key social, economic and environmental policy issues. She was also a research assistant at the Australian National University investigating regional security architecture in the Asia-Pacific. Georgina has a Masters degree in International Relations specialising in Peace and Conflict Studies from the Australian National University.